A dark gray crème. Opaque in two coats. My swatch is shown in two coats. I have used this one many times already. The first time, I used three coats and every time I used it since, I used two. The formula is not too thin and not too thick. So, since I wasn't afraid of flooding my cuticles, I applied it thicker than what I started with my first application. This self levels and dries down glossy. I love this shade of gray and this will be great for fall. A black crème. Depending on application, this can achieve full opacity in one to two coats. If you've read my reviews on the Zoya "one coat crèmes," you know I'm hesitant about telling you guys that something is a "one coater" because we all have different painting techniques. What I can achieve in one coat, you might not be able to achieve, and vice versa. I swatched this one several times already. 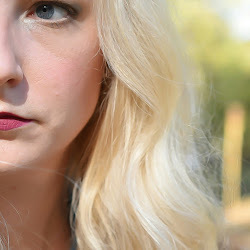 I was able to achieve full opacity in one coat, but I also did it in two coats a few times. It all depends on how you're painting your nails. If you want this in one coat, I suggest you start with a sticky base coat. 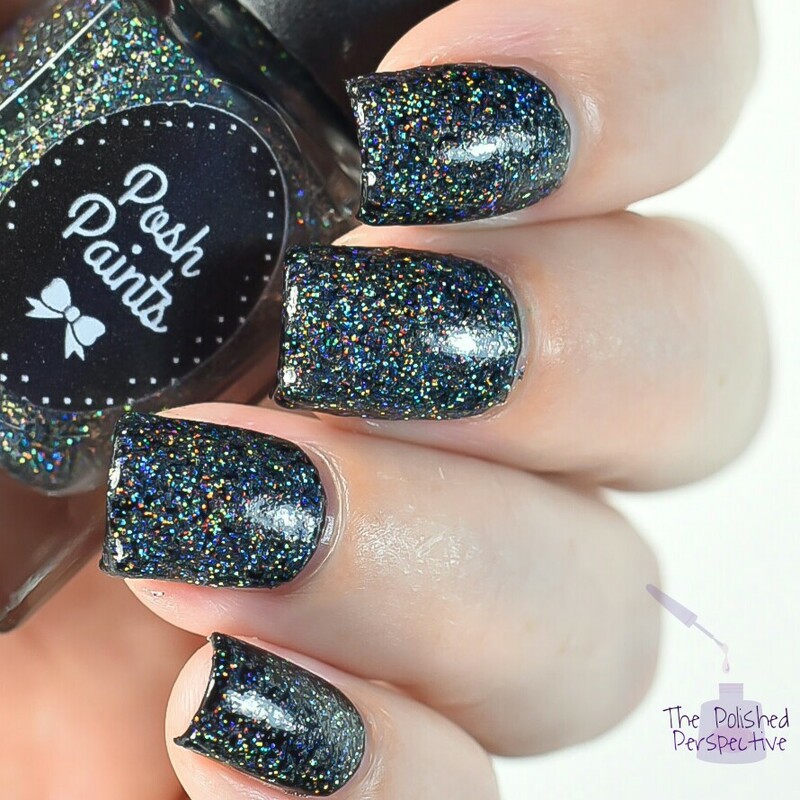 At $5 a full size bottle, Posh Paints offers a Stick It Base Coat that I like. Pro tip: apply Stick It Base Coat on finished mani, before stamping, to achieve flawless stamping. It'll give your stamp something to stick to. Then top coat. 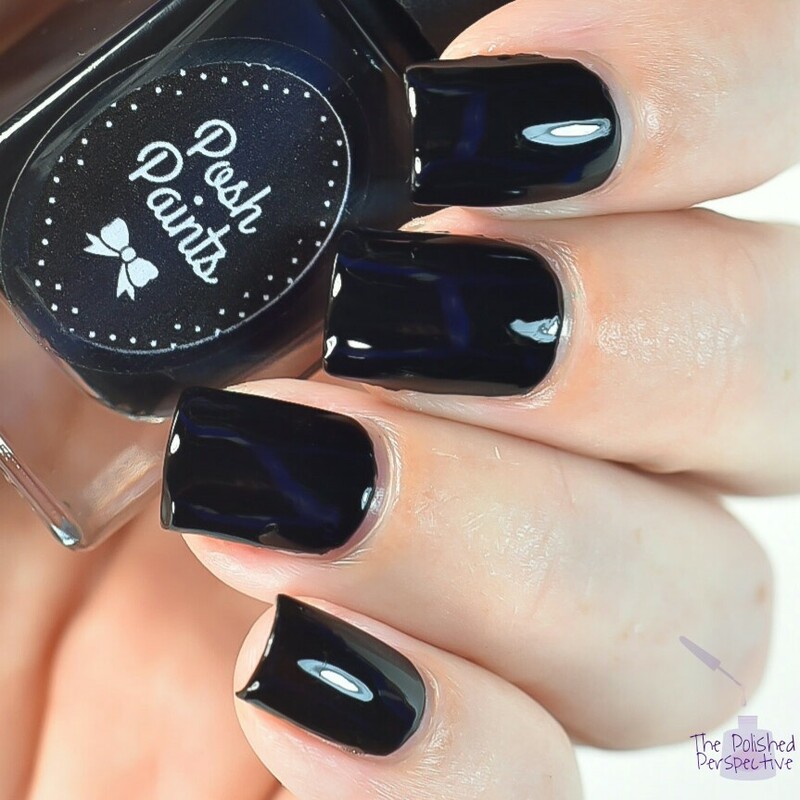 This is a glossy black with no blue in it. Sorry about that, my lights reflected wonky here. 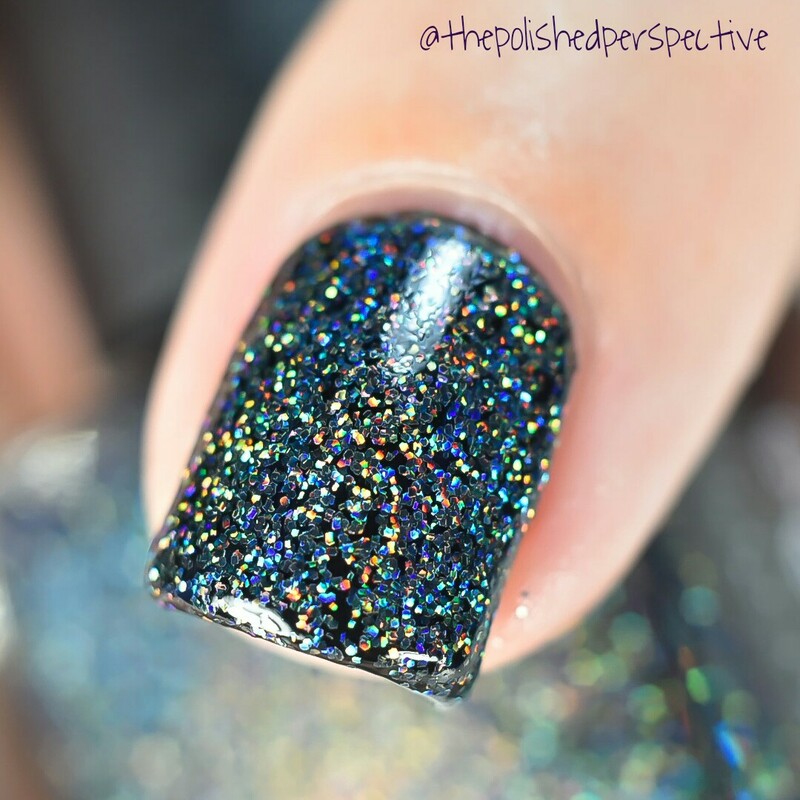 A black ultra holo glitter in a clear base. 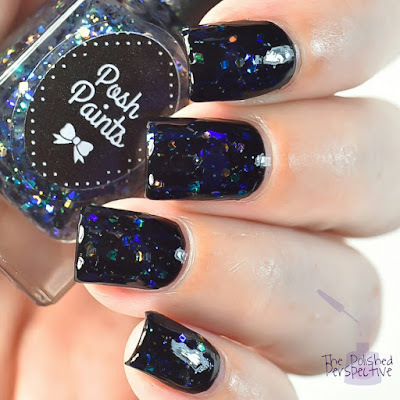 Opaque in 3 - 4 coats depending on application. I love this effect so much! My swatch is shown as follows: one coat of Enter Sandman and two coats of Fade To Black. You can achieve full opacity with this but I already had Enter Sandman on and wanted to see what it looked like layered. I really love how this turned out. A glitter topper with various sized white crystal hexes and squares, black hexes and iridescent glitters in a clear base. As with the other glitter toppers I've tried with Posh Paints, the glitter payoff is really good. My swatch is shown in one coat over Sad But True. A glitter topper with various sized black hexes and squares and iridescent hexes and squares. I really love this one over Enter Sandman. 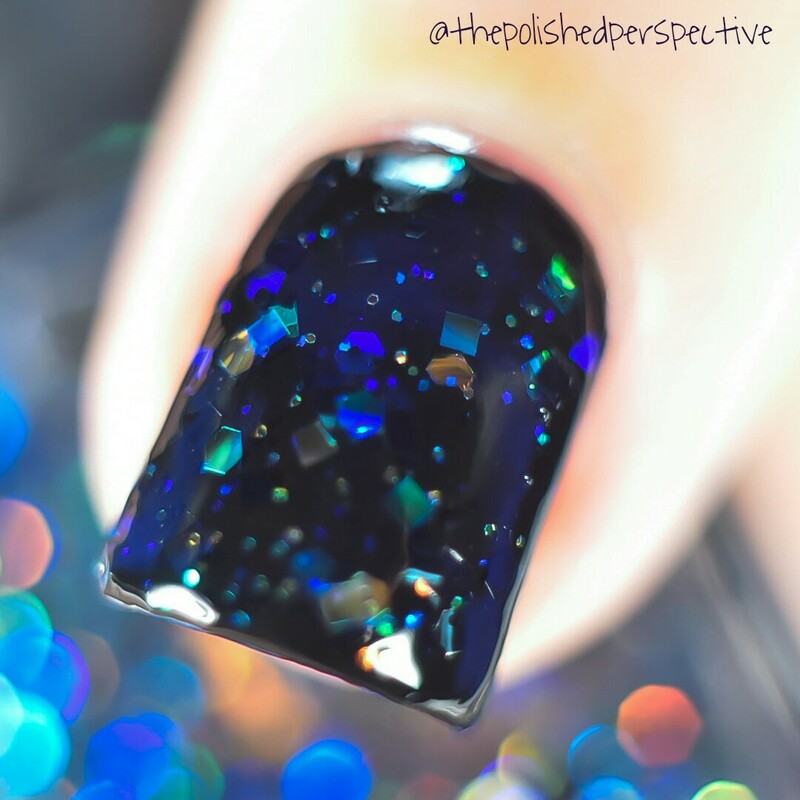 The black base really makes the iridescent pieces pop! This collection is a lot different from the Beware of the Plastics Collection I showed you last week. One thing that is the same is that the formulas are consistently terrific. Wanna know why I'm really excited about this collection? 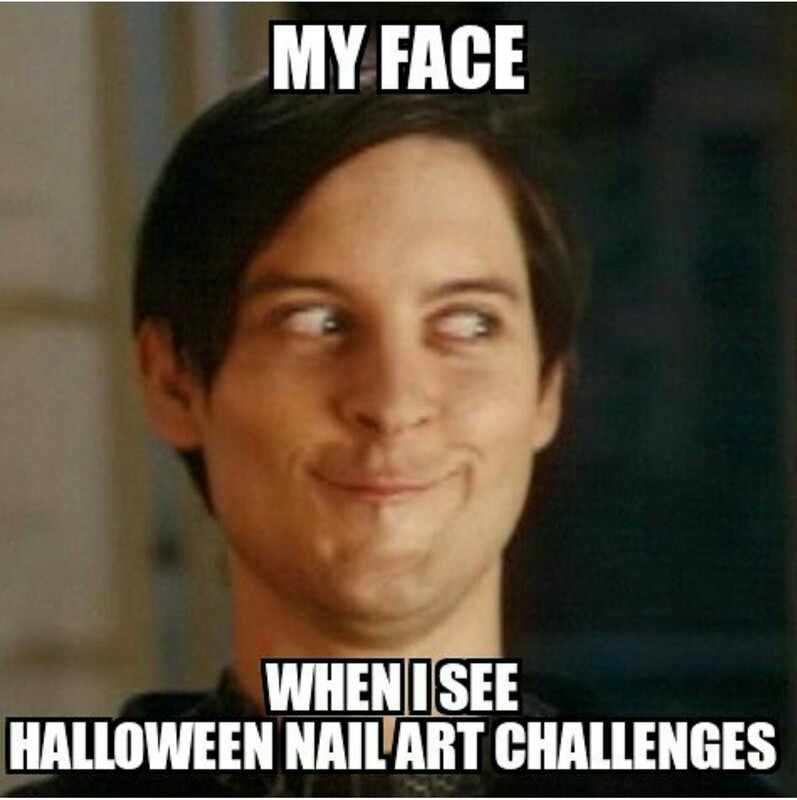 It's that time of year to start planning your Halloween manis! Yes! 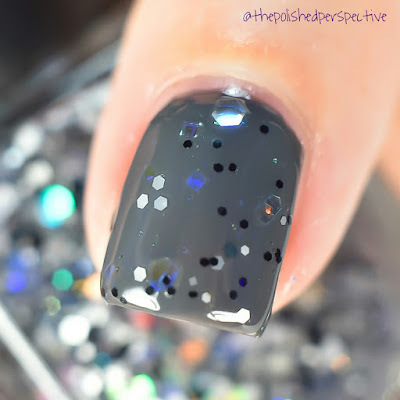 I already know I'll be reaching for these several times while doing my Halloween manis! I love the theme and interpretation of these! They definitely are perfect for Halloween manis! Yea, I'm going to miss summer. 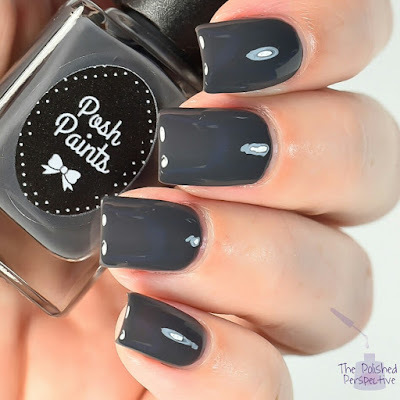 I haven't tried polishes from this brand before and your swatches are great! Thanks for the pro tip too! 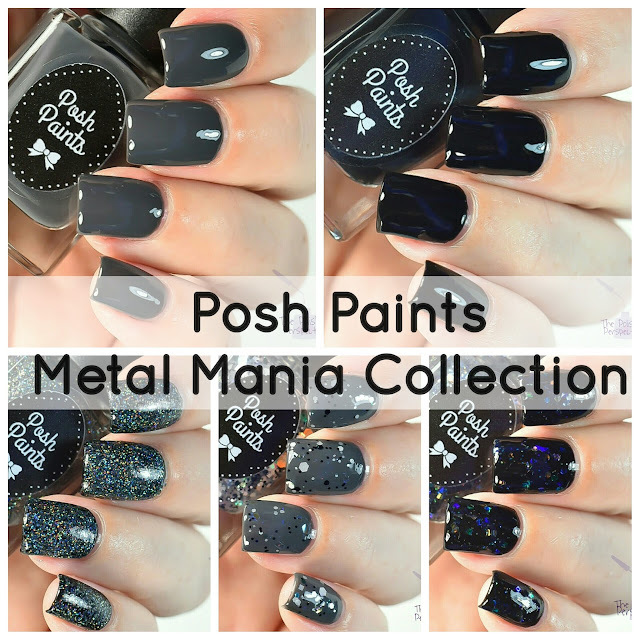 OMG METALLICA POLISHES!!! Please forgive my all caps and my fangirl squeeeees of delight! Lol! One of my favorite concerts was Metallica. That last combo tho!! 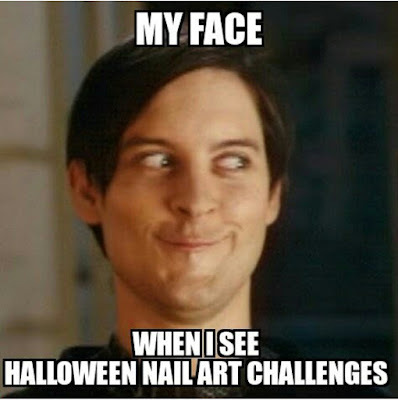 Bring on the Halloween manis!